Benefits of ginger root are numerous. 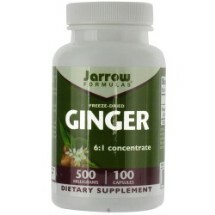 A powerful anti inflammatory, ginger benefits address a variety of health issues from joint pain to cancer. 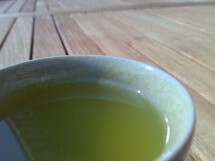 Ginger tea benefits are a delicious and effective way to enjoy this antiaging spice! Ginger it technically not a root, but a spice. It has a history of food and medicinal use, and ginger health benefits go back to ancient Rome 2,000 years ago. It became popular in Europe and it began to be cultivated in the West Indies for importation back to Europe. It is currently grown in Jamaica, Southeast Asia, Australia, and The United States. It grows in a tropical climate and is used extensively in cooking, and herbal medicine. When purchasing ginger, buy it fresh, and make sure it is free from mold, and bruises. It can be stored for several weeks if it is not peeled, and the best place is the refrigerator in a tightly sealed container. There are many recipes and ways in which you can use ginger in cooking, but this page will focus on the, and it's various supplement forms. Ginger tea benefits allow it to be enjoyed as a pleasant and refreshing drink, while being utilized for it's many anti-inflammatory benefits. There are also ginger supplements made with ginger powder extract, that combine the anti-inflammatory power of ginger with the convenience of taking it in capsule form. There are a variety of health conditions where studies have indicated ginger health benefits. Many ginger benefits come from gingerol, which is the active constituent of ginger. It is chemically related to both capsaicin and piperine. Enjoy your ginger tea benefits following a meal to help with digestion, or to ease an upset stomach from illness or foods that might end up unsettling your stomach. I whatever form you use it, the benefits of ginger root are something you don't want to overlook. Nature provides everything we need to be healthy and enjoy life. Ginger benefits are one of natures gifts to us. Use it!